Existing house sits deep within the block, combined with the slope of land, resulting in an elevated living area detached from the backyard. 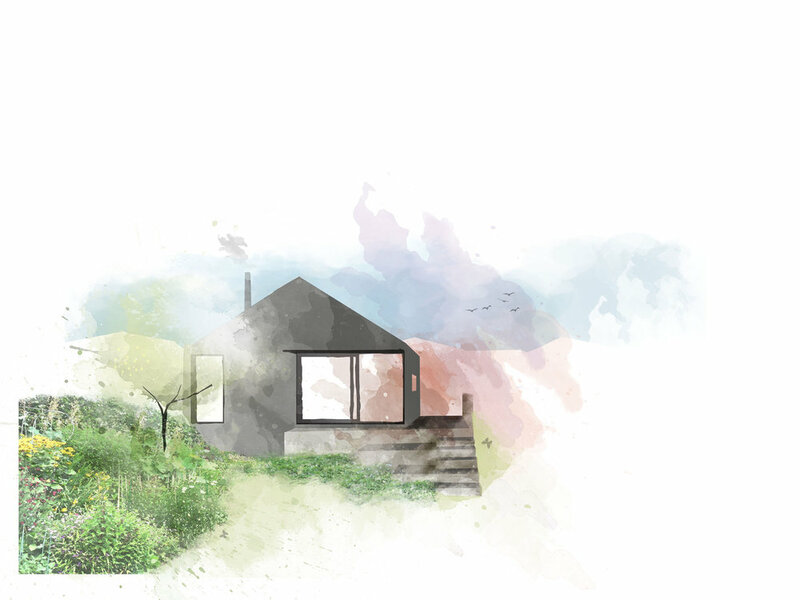 We are tasked with creating a new living space that embraces the backyard. 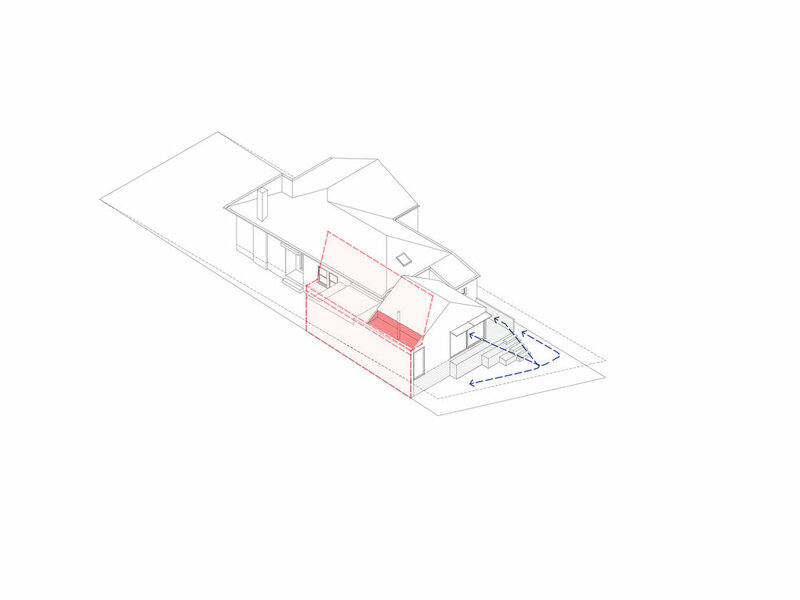 The new addition plugs into the rear of existing house providing a new living area and a new outdoor deck which gently descends to the backyard via a terracing seat/steps.